Enercon is seeking a co-investor for the 844MW second phase of the Markbygden wind power complex, as ground works at the site in northern Sweden continue. The company aims to achieve first power at the project in mid-2020 ahead of full commissioning in the third quarter of 2021. The project, which the manufacturer has called Maximus, will feature 201 turbines from Enercon’s E-138 EP3 series. Enercon currently owns 100% of the wind farm, but managing director Hans-Dieter Kettwig said the company is "ready to market the project". He added: "We are looking to find reliable partners who are interested in a long-term operation of the wind farm. "The interest of potential investors is definitely there, as we have learned in previous projects in Sweden." Enercon has not stated the size of the stake it is looking to offload. 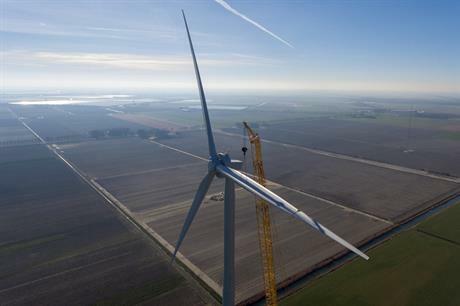 The German company best known as a turbine maker has appointed financial services company DNB as adviser for the equity of the project and for its power purchase agreement (PPA). It has also appointed commercial banking firm Nord/LB’s structured finance team as an advisory partner for the debt financing process. Meanwhile, business law firm Cirio will serve as the legal adviser for the anticipated transaction. Construction of the 844MW Maximus project will require about 150km of access roads to be built and a new 1.3GW transformer station connected directly to the 400kV grid, Enercon said. The manufacturer signed a construction agreement for the transformer station with grid operator Svenska Kraftnät in late 2017. In November 2018, Enercon had said that ground works were already under way. The project was initially approved for 1.3GW, then rationalised to 1.1GW, but Enercon now says it will be 844.2MW. A spokesman told Windpower Monthly further turbines could be installed, but this will be determined at a later stage.